Time to get crafty! 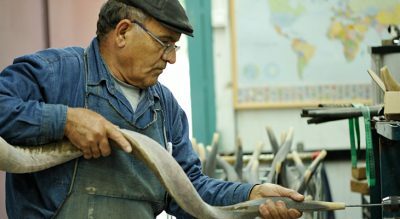 Create a beautiful Shofar from a genuine ram’s horn! Saw it, drill it, sand it and learn how to blow it too!